Last week, I traveled to beautiful Vancouver for the Design & Content Conference. In addition to enjoying the city immensely (and visiting an incredible stationery store: Paper-Ya), it was one of the best conferences I’ve attended. In an industry where workers look mostly like me (white, male), the speakers and subject matter during the conference was strikingly diverse. We had all-women discussion panels, and at least half (and maybe more) of the speakers were people of color. We talked a lot about diversity and inclusiveness, too. Several panels were about designing software and web interfaces for diversity, crisis and stress-cases, and I came out of it amped to make sure the stuff I work on works for everyone; not just for those I’m most familiar with. It made me think about the communities I’m a part of, and where I exert the most influence. It occurred to me that it might not so much be the tech community, but that the stationery community (while smaller, perhaps) is a place where my words and thoughts may have the most impact. Because of that, I was energized to read a fantastic observation made by a Melissa Chapin, an artist and active member of the Erasable community on Facebook , about something that I’m embarrassed I’ve never noticed: that all five of the Blackwing Volumes editions are tributes to white men. We have the 725, modeled after Bob Dylan’s guitar; the 211, a tribute to John Muir; the 1138, a movie reference to a George Lucas film; the 24 for John Steinbeck; and most recently, the beautiful be-Yankeed Volume 56 for Joe DiMaggio. These are all fantastic tributes, and I love the story behind them. But they represent just one demographic of those who made history. 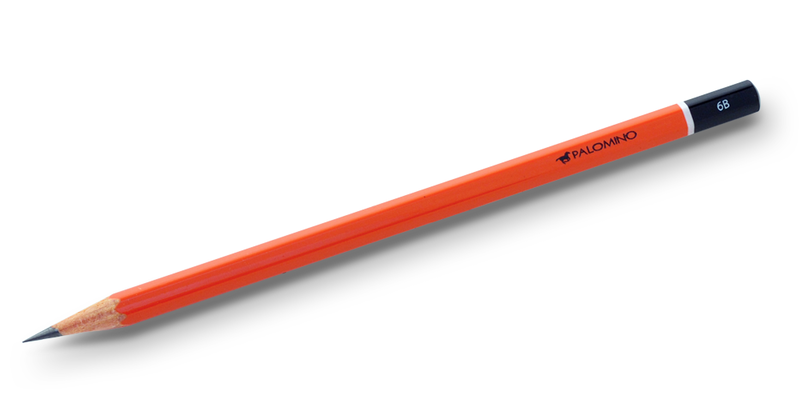 What about a pencil that Blackwing fans who are women, or people of color? I’d love to challenge and encourage Blackwing to consider that for their next edition, or better yet — next several editions. Volume 11.8: The Grace Hopper Science Edition — named for the distance, in inches, that light travels in a nanosecond. Admiral Hopper was known for using lengths of wire this long as visual aids in her talks about satellite communication technology. Volume 1940: The Hattie McDaniel Film Edition — named for the year this actress became the first woman of color to win an Oscar, for her role as Mammy in Gone With the Wind. It would be another 62 years before it would happen again, in 2002 for Halle Berry. Volume 45: The Jesse Owens Sports Edition — This African-American Olympic runner broke three world records and tied a fourth, all in 45 seconds. Volume 70: The Ibrahim Ferrer Music Edition — This amazing Cuban singer gained renown later in life after he joined the Buena Vista Social Club at the age of 70. Volume 35: The Frida Kahlo Art Edition — This is the number of surgeries she suffered through in her life, after polio and a bus accident. The constant pain she felt informed her iconic art work. Volume 135: The Ralph Ellison Literature Edition — This is named for the street he moved to in Harlem in 1936, where began his career as a novelist. I don’t want anyone to think that I’m finger-pointing or declaring Blackwing to be racist or sexist. They’re creative professionals who build amazing products I use everyday. And, like me, they are inspired by heroes to whom they feel a connection. It’s pretty natural to find connections most strongly with those like yourself, and because society more loudly applauds white men for their skill and accomplishments, it’s not surprising that the five editions so far represent creative inspiration from this group. In researching these icons of history and literature, and discovering the numbers that run through their lives, I was inspired by how vast a field of candidates could be for a Blackwing tribute. Others in the group suggested editions named for Amelia Earhart, Toni Morrison, Susan Kare, and more. 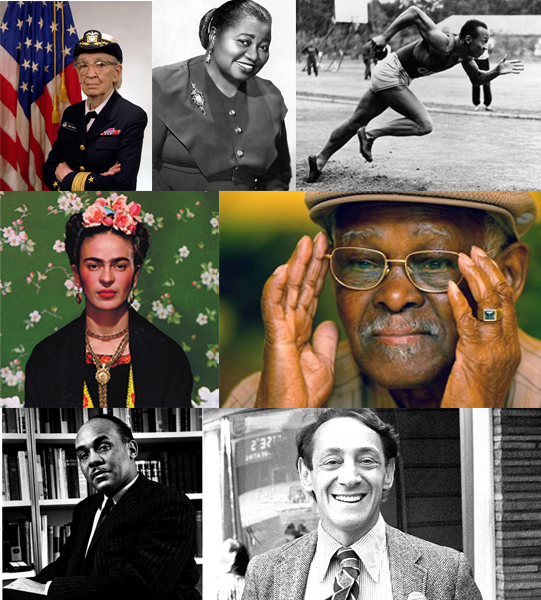 What great women and people of color inspire you? Where would you find the number for their edition? I would love to hear it, and I’m sure Blackwing would as well (though I hope and suspect they have some great ideas of their own). Thank you, readers, for letting me opine, and Blackwing: thanks for being good sports and stepping up to inspire all of your customers, not just those who look like me. 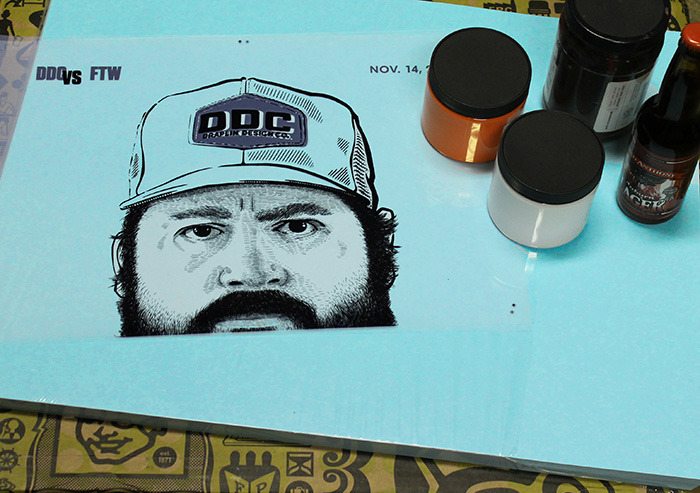 Tomorrow is an exciting day for me — designer and Field Notes inventor Aaron Draplin is coming to Fort Wayne to speak about his “cosmic wit and wisdom on design”! This is his only tour stop in Indiana in 2013. It all started as Kickstarter campaign, and quickly met its funding goal and eventually, more than doubled it. Fort Wayne, though not a big city (we’re the second-largest city in Indiana, with just under a quarter-million people) has a talented, tight knit graphic design community. In fact, two of my best friends who form the creative partnership pye,brown are the main sponsors of this event. As a pledger, I’m getting a super-cool limited edition poster designed by a friend of mine Josh Tuck of Rustbelt Co (you may remember him from his review of Gridbooks), as well as a ticket to the event. 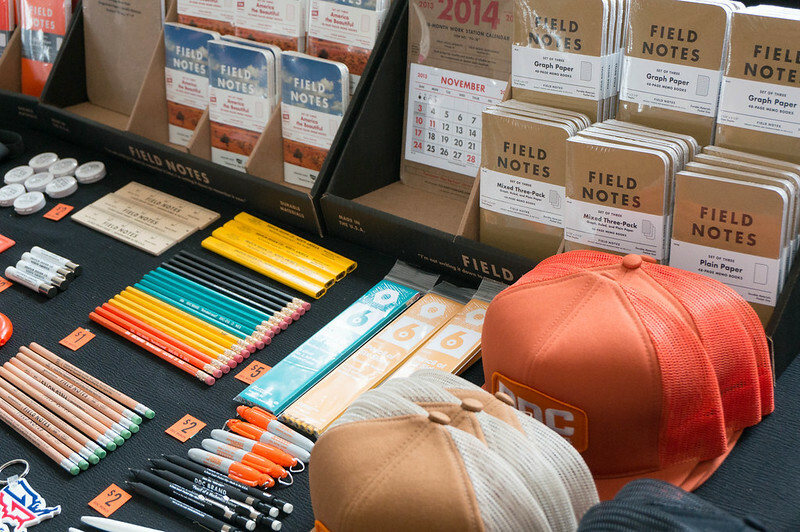 Let’s just say that Draplin is a colorful speaker whose passion for design and the work ethic of the American Midwest and its history shows though in abundance. Once you hear him speak, you will leave the premises fired up to create and make cool things. 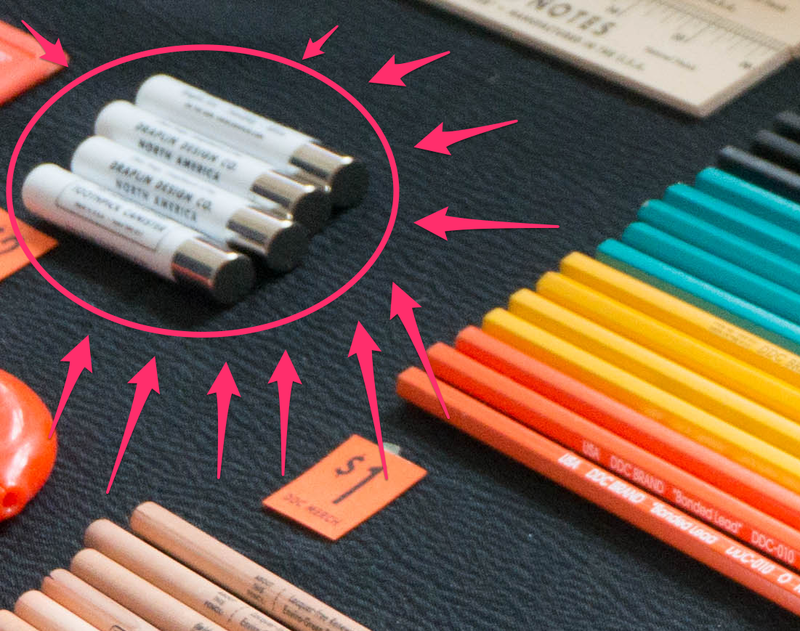 I’m definitely going to bring some of my first-edition Field Notes cahiers to get signed, and hopefully — hopefully — there are some DDC branded bullet pencils that will be on sale with the other merch he’ll have. DDC6292: RT: @awelfle: Writing about bullet pencils…read your @pencilution interview. You ever make a DDC bullet pencil? > Stay tuned, man! Could that be? 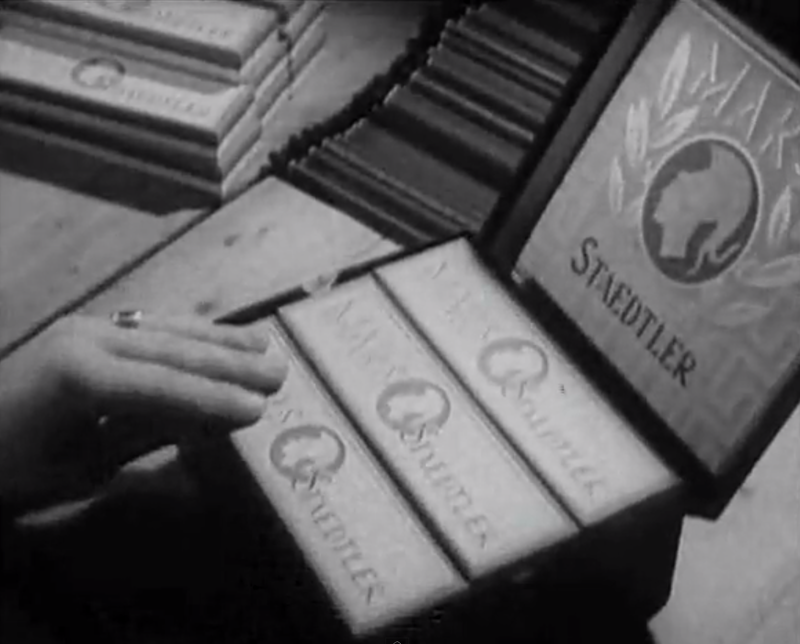 Bullet pencils? No. It’s too thick and blunt-ended. After scouring the Merch section of the website, I realized it’s a Toothpick Canister. As you know, I’ve been kinda obsessed with bullet pencils for a while. I’m definitely going to snag some of these puppies if he has them. In any case: Be jealous, internet, because I’m going to meet The Man tomorrow! Have you ever listened to 99% Invisible? It’s a fantastic podcast with features about, primarily, architecture and design (and starting in 2014, thanks to their Kickstarter, they’ll be producing episodes weekly!). The newest episode, “All the Buildings”, features James Gulliver, an artist on a mission to draw the buildings of New York City — all 700,000 plus of them. Drawing by James Gulliver at AllTheBuildingsInNewYork.com. Click image for original post. How cool is this? It’s the old corporate offices of the Eberhard Faber corporation, maker, of course, of Eberhard Faber pencils. 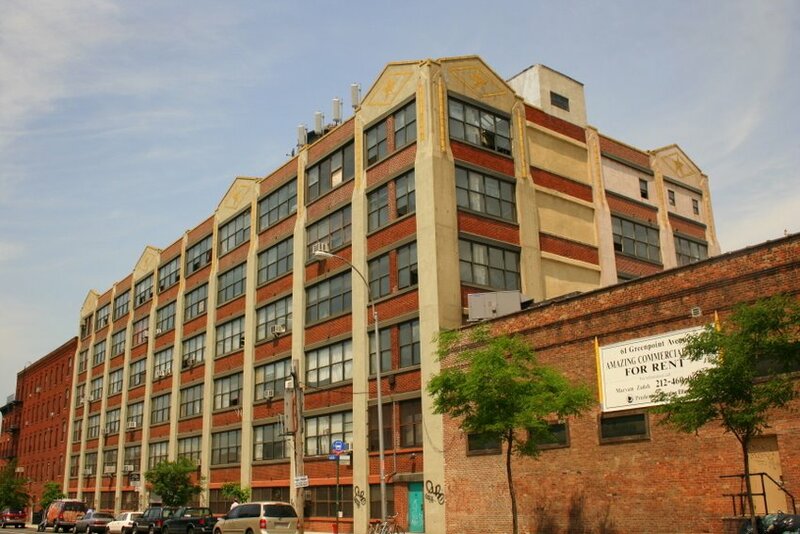 Built in in the 1920s, it was vacated when the company shut down its Brooklyn factory and moved to Wilkes-Barre, PA in 1952. 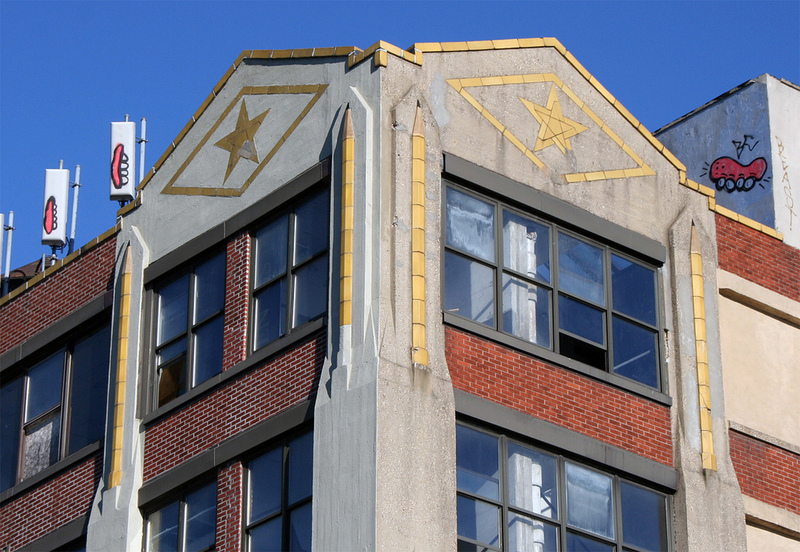 What they left behind was an amazing six-story art deco building with FREAKING PENCILS on it. Print Magazine has an interview with a few graphic designers who has developed a relationship with this building. Read it when you get a chance; it’s a fun interview. Next time I’m in NYC, I need to get to the Greenpoint neighborhood in Brooklyn to check this place out and get some pictures of my own. Any Woodclinched readers have any stories about this building? I’d love to hear about them in the comments! Disclosure: As I try to do whenever I talk about CalCedar and any of their products, I want to mention that I am a former employee. So take what I say with a grain of salt. California Cedar, the makers of the California Republic brand of wooden pencils and the Palomino Blackwing, their modern interpretation of the Eberhard Faber Blackwing 602, is throwing a party they’re calling called the Blackwing Experience, in New York City on April 17, to celebrate the opening of a week-long exhibit running until April 20 at the Art Director’s Club. I think this is a cool concept — as their tagline says, it’s “the party for the pencil”, and from what I understand, it’s not just the Palomino Blackwing or the EF Blackwing that’s being celebrated, it’s the usage and history of all wooden pencils. Justin Oberman is an independent creative director who is working with CalCedar to organize this event. You may remember him from my post about his concept ad campaign for the Dixon Ticonderoga. A panel discussion about creativity with Chuck Jones’ grandson who runs the Chuck Jones Experience. A blank space where attendees can draw themselves in (with pencil, of course) using a camera lucida. Several performances and demonstrations by up-and-coming artists, musicians and writers. I really wish I could make it to the Big Apple on Monday to check this out! Unfortunately, I’m not in a position where I can do this unless I plan months ahead. A video by Leora Israel about using a pencil (specifically, a Palomino Blackwing) to make a “naughty librarian updo” (see below). A recap on Blackwing Pages about the controversy. Charles Berolzheimer’s (from CalCedar) response.